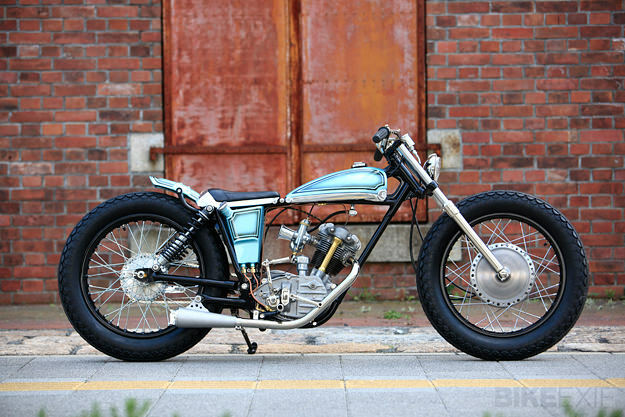 The Mooneyes show is a Mecca for the custom scene in Japan. Held every year in Yokohama, it attracts fans and builders from all over the world. A few days ago, one of the stars of the 22nd show was Heiwa, the Hiroshima-based workshop that’s been building low-key, beautifully finished street bikes since 2005. Heiwa are normally masters of understatement, but for their show entry, they pulled out all the stops. 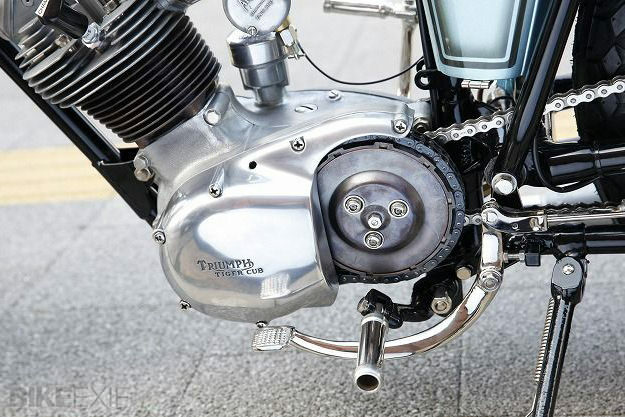 ‘T20 Derringer 200’ wowed the judges and took home the ‘Best Motorcycle – Europe’ trophy. It’s based on a Triumph Tiger Cub T20, a 199cc single that was popular with learner riders in the 1960s. In stock form, the humble Cub is hardly a shining example of British industry—but Heiwa has transformed it into a jewel-like low-rider. 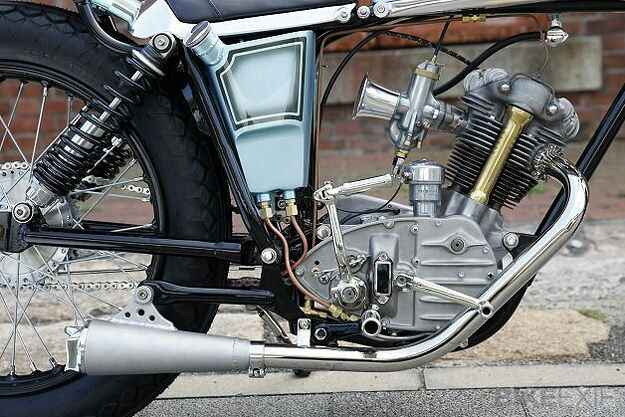 The elegant simplicity of the engine is brought to the fore, with cut-away cases and a simple funnel feeding the carburetor. 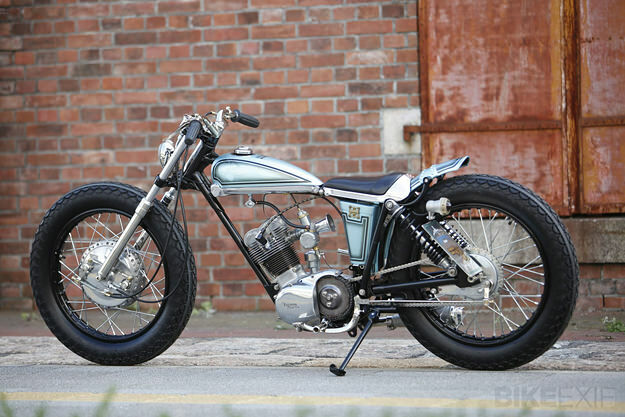 Virtually every other part is hand-fabricated, from the tiny tank to the vestigial rear fender. 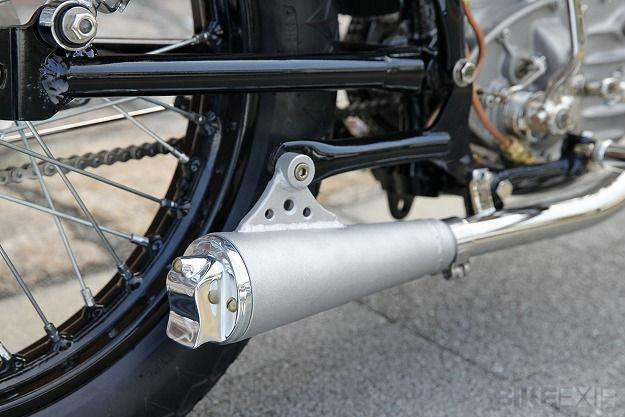 The attention to detail is exquisite: note how the angle of the rear shocks almost exactly matches the frame downtube, and the detailing on the endcap of the exhaust muffler. 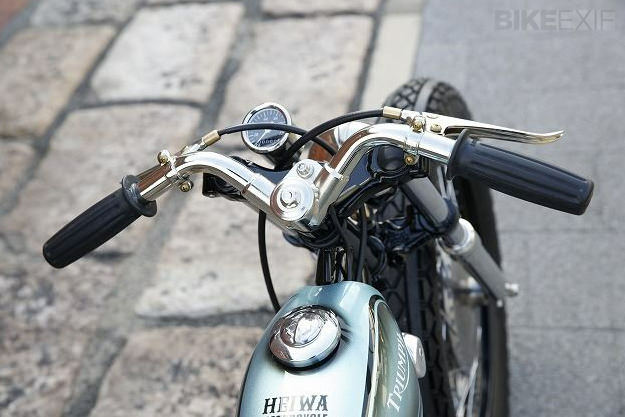 Most Heiwa motorcycles are the kind that you can just hop on and ride. This one is a far richer dish, but none the worse for it. Check out Heiwa’s other builds on the company website—which unlike most Japanese sites, is navigable for those who only speak English.